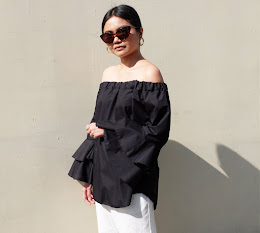 The holiday season is kicking in full gear and with all these after-office soirées and family get-togethers, it can be a bit daunting putting together outfits that can be worn for both work and play. So what does a working gal do? Easy! Go for chic separates that take you from the office to holiday dinner parties. 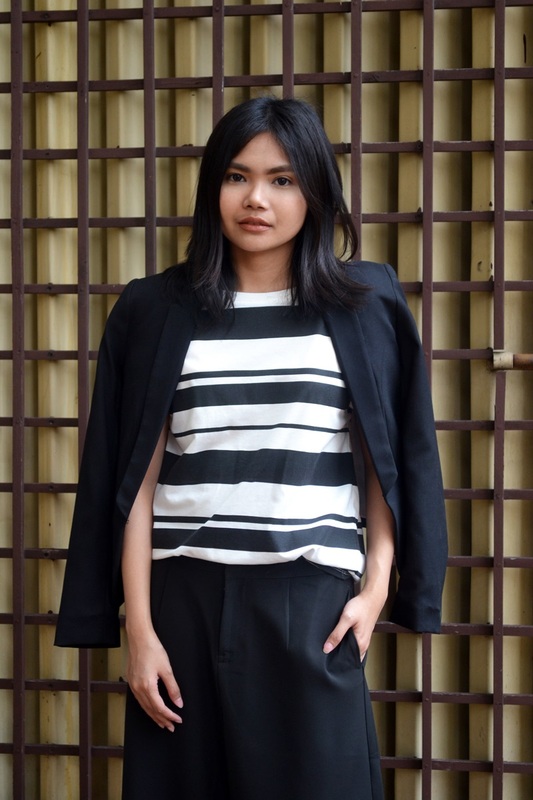 This striped top and black culottes ensemble is boardroom and party-ready. When layered with a tailored blazer, the look is sophisticated and polished. If you're going out with the girls later or hanging out with your colleagues, simply add a sparkly clutch, switch to a higher heel and apply a bold red lippie to elevate and transform your look from day to night.